A young man fights the mafia in his town for better life to his people but this leads to chain wars between the mafia and him. © 2018 Scratchu.com Andhrawala | Raghu Babu, Vinod Bala, Banerjee, Brahmanandam, Rahul Dev, Mahesh Goyani, Jeeva, Rajeev Kanakala, Raghu Kunche, Balaiah M., Venu Madhav, M.S. 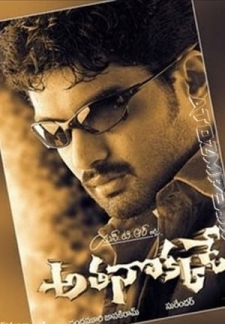 Narayana, Nassar, Rakshitha, Ramaprabha - Andhrawala (2004) | Telugu Movie | 3.7/10 | Synopsis : A young man fights the mafia in his town for better life to his people but this leads to chain wars between the mafia and him.... Watch Online!! !